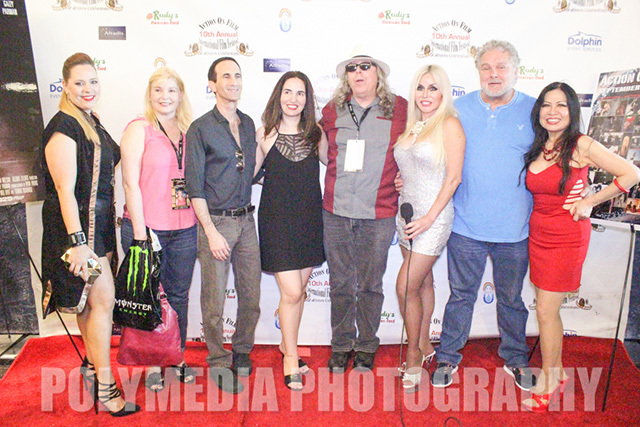 The fourth annual International Film Festival of Cinematic Arts (IFFCA) was held at the Laemmle Music Hall Three in super swanky Beverly Hills right on Wilshire Boulevard from October 10th to the 12th. The IFFCA was started by passionate cinema enthusiasts who liked to contribute to the film community and recognized the excellence and hard work which goes in the making of a film. 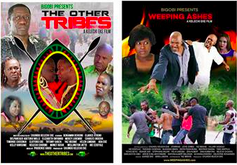 The festival’s goal is to foster a meaningful global conversation between cultures and countries through Cinema. 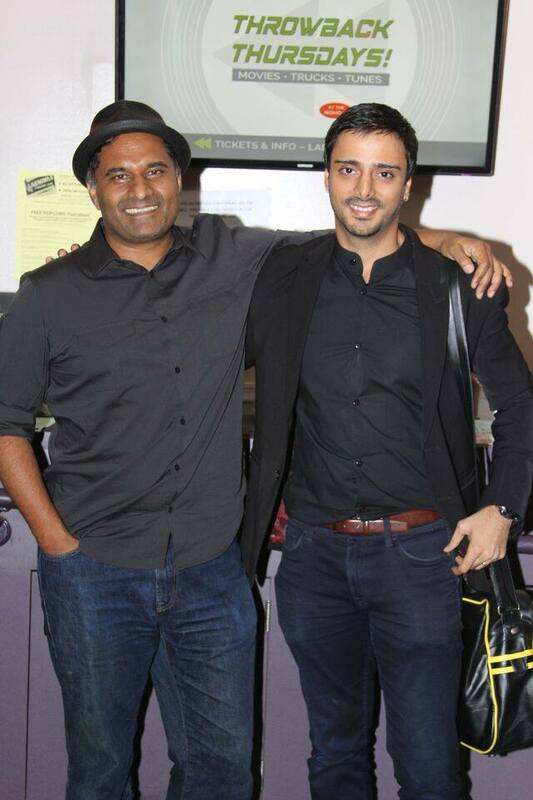 “This year our festival is three full days and we screened over a 100 films, many of which were from all over the world like England, Australia, and India,” said Masud. “I’m so excited that we are screening the films at a Laemmle Theatre, which is a family owned business and it’s a good match for us as all our hearts are passionate about the art and craft of cinema,” he added. 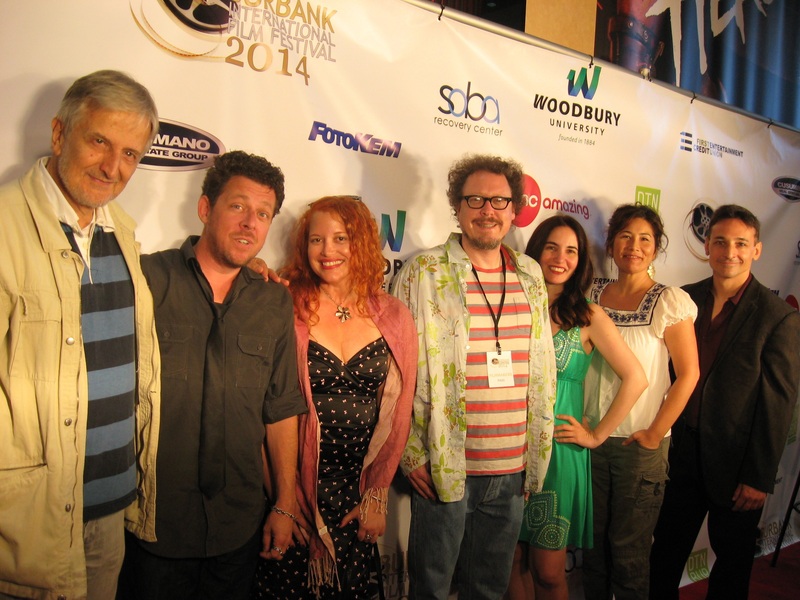 The festival is a joyous celebration of the art and craft of cinematic storytelling. 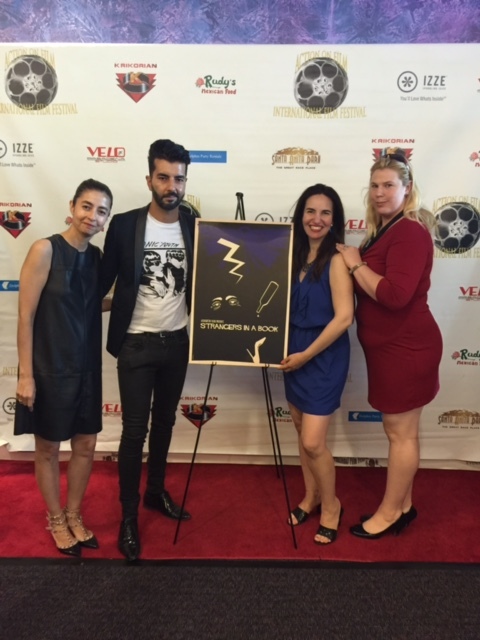 They celebrate and recognize not only the directors, actors, but also present jury awards to screenwriters, editors, and composers. At this festival, they celebrate all artists responsible for creating cinema. Finally, it is indeed possible to tell evocative, visceral, meaningful, and moving films without spending millions of dollars. 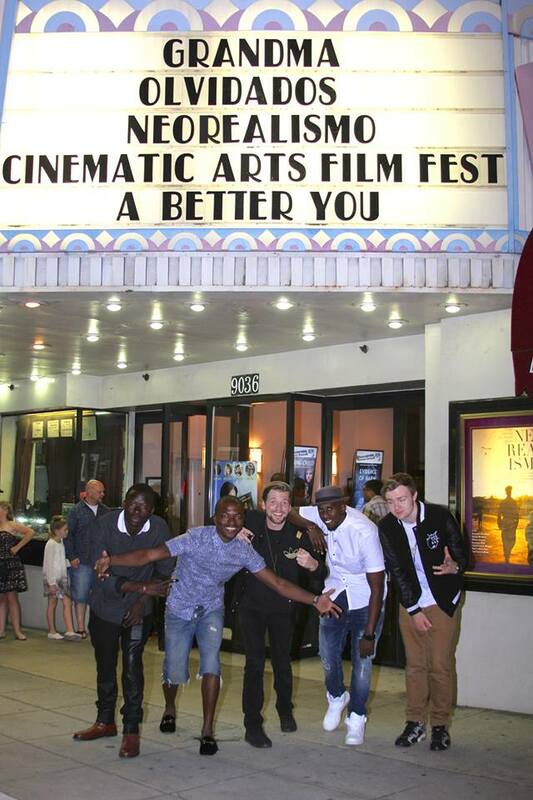 The Cinematic Arts Film Festival will inspire filmmakers around the world by premiering examples of films made on micro-budgets. They have also included a new category just for music videos to appreciate the creativity and talent it takes to make these short forms of filmmaking. I got a chance to watch The Interrogation of Guru Kartaar Singh by Akash Chopra, who wrote, directed and starred in this film and did a truly outstanding job even though he wore many hats. This film is based on a play of the same name and is a fictitious Indian short film that revolves around an interrogation of a young Sikh who attempts to assassinate a political figure in the name of religious vengeance and propaganda. Based on true facts surrounding the Sikh secessionist demand for a new state also known as the ‘Khalistan’ Movement, the infamous genocidal Operation Blue Star in year 1984, Chopra gives a stellar performance and is the only character on-camera. “Sikhs have the most peaceful religion, so it’s really tragic what they’ve had to go through. Certain episodes in the 80’s really left a mark,” said Chopra, who is not a Sikh himself. 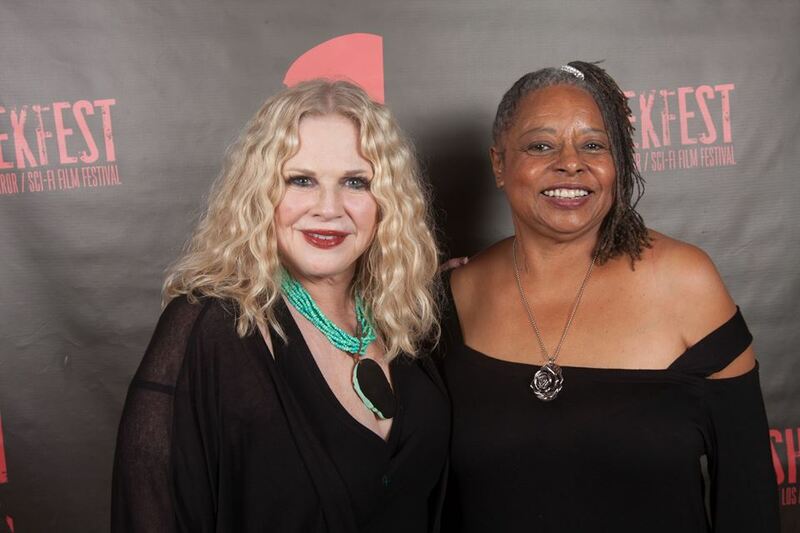 The 7th annual Lady Filmmakers Festival is under the umbrella of the newly formed Lady Filmmakers Foundation, a 501c3 tax exempt charity. 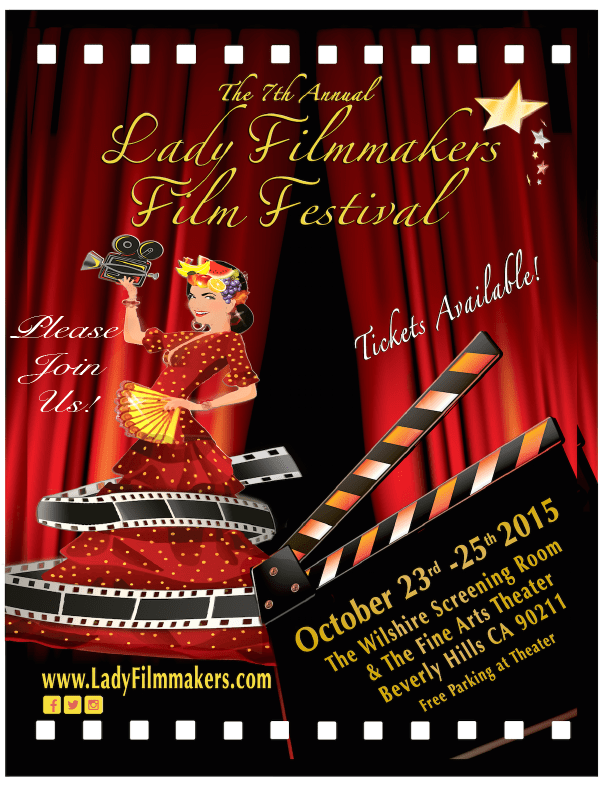 This wonderful festival celebrates women in leadership roles in the entertainment industry. Their film festival celebrates women filmmakers, artists, and musicians and the men who collaborate with them. 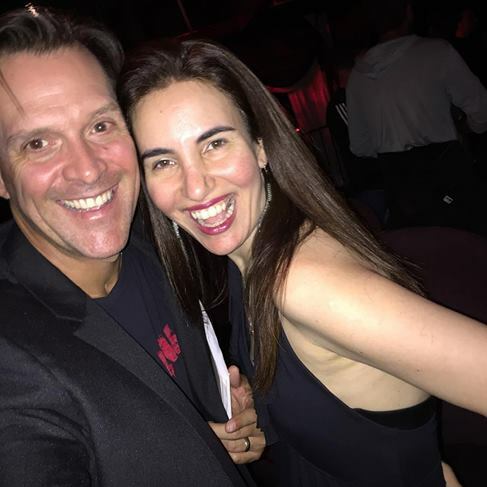 Lady Filmmakers was founded by Patricia DiSalvo Viayra and her husband, Mike Viayra, who is also the festival programmer. I met Patricia and Mike years ago at their festival and they were so kind, friendly and encouraging of all the filmmakers and artists in attendance and I don’t usually see that in the wild and wooly festival circuit. I have a film screening at this festival, so I’m really excited and honored for it to be screened here. This festival is an entire weekend of films, music, art, mentoring workshops/panels and of course parties! They promote and support opportunities for artistic and career growth through their many different workshops, panels and networking events. They look for extraordinary visual storytellers for our programming. The festival encourages collaboration between men and women currently in the industry and to instill this idea within future filmmakers. Their speaker series and events are designed to help our filmmakers expand their network and further career goals. Lady Filmmakers is a safe environment to exhibit works and to find future collaborators and mentors. 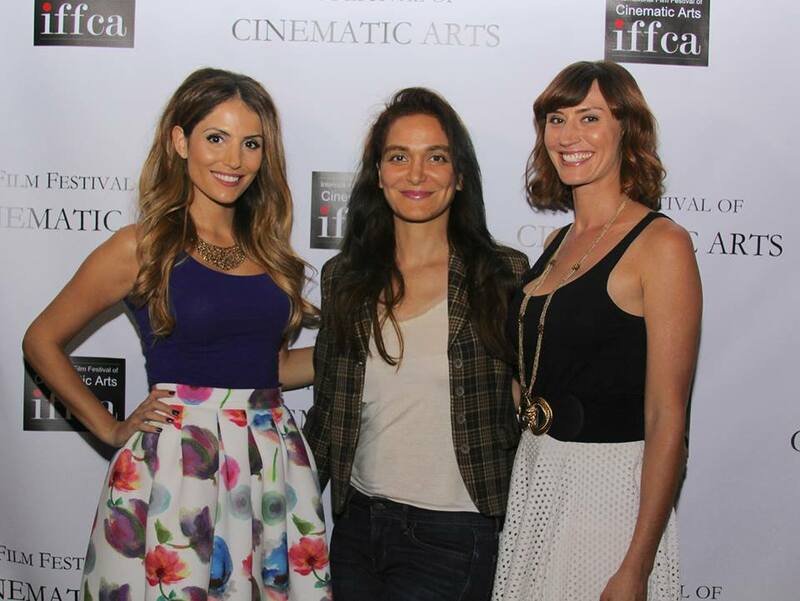 The festival promotes diversity and strong female lead driven content and they wish to INSPIRE & ENTERTAIN! One Woman has to fill the role of Writer, Director, Producer, Cinematographer, Production Designer or Editor to qualify to screen at the festival! They also have Music and Art Programs this year too featuring men and women artists and musicians! Long after the festival is complete they actively continue to promote their “Alumni” filmmakers, cast, and crew throughout the year! 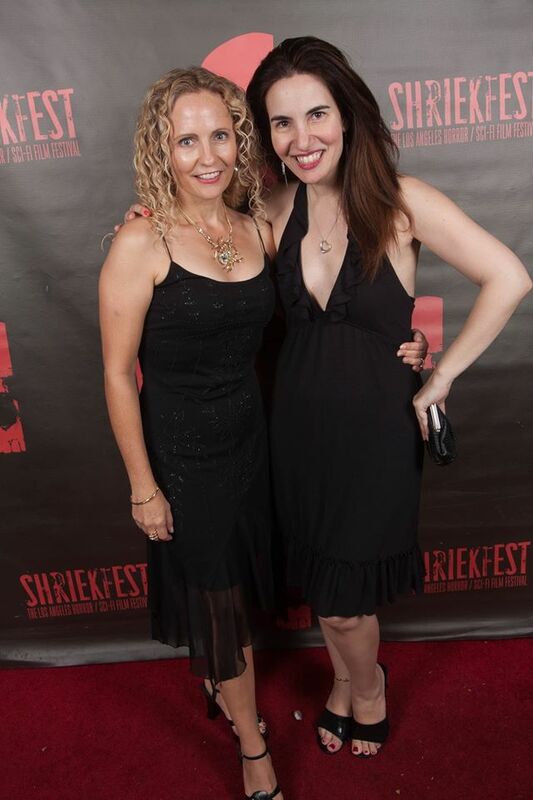 I went to an event I look forward to every year last night, the Shriekfest Film Festival Opening Night Party. 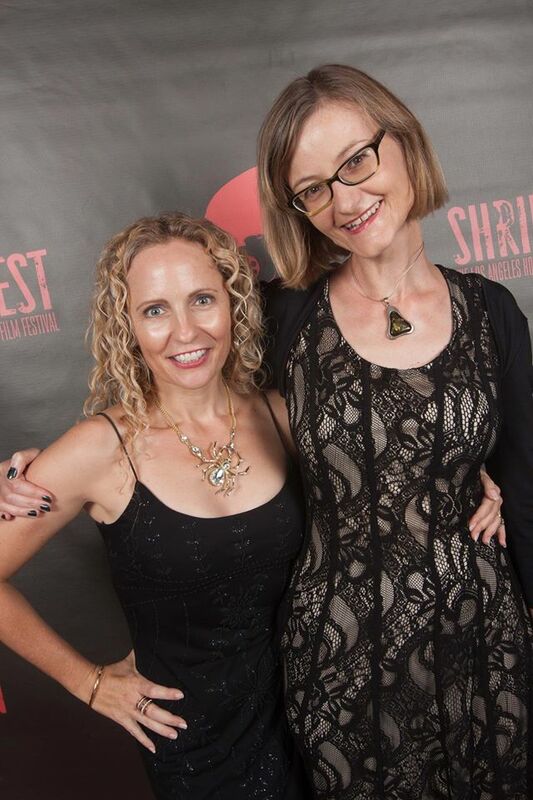 My friend, the lovely and oh so talented actress Denise Gossett created the festival. She started the festival in early 2001 when starred in the horror film “Chain Of Souls” and was searching for ways to get the word out. 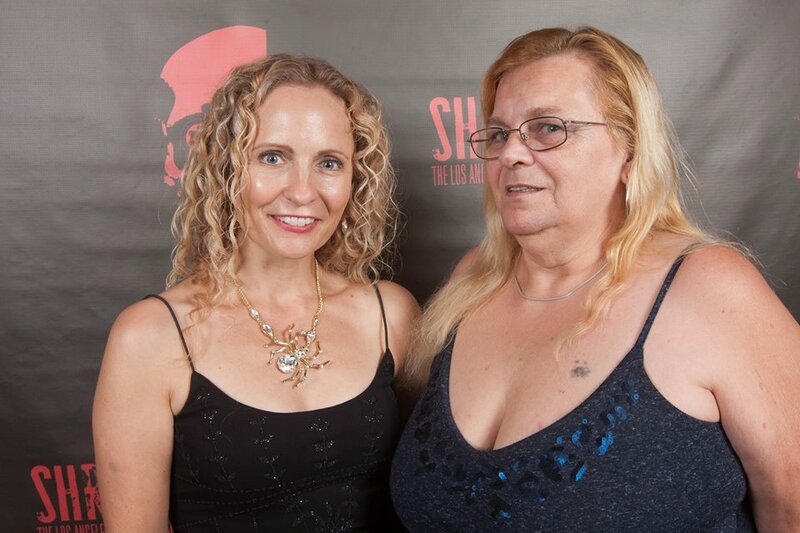 She soon discovered there really weren’t any film festivals focusing on horror and wisely came up with the idea to start a horror film festival. “I told my sister-in-law Kimberlee my “silly” idea. She loved it! And even though we had no idea what we were doing, we immediately got to work, said Denise. “I always say naivete will take you far and we are proof. We thought doing this festival would be fun and perhaps we’d be able to make some money to put towards making our own films. Little did we know how popular this “little” festival would become! After a few years Kimberlee ended up moving back to her home town in Michigan to raise her son. Her brother, my husband, Todd Beeson stepped in and 3 years ago I finally “let” him retire,” she added. They are currently in their 15th year and submissions have gone through the roof and entries now come from every country! “I just want to say how truly grateful I am for all of the supportive filmmakers, screenwriters, and fans. Thank you for keeping us around,” she said. Several of my films are making their world premiere at the prestigious Action on Film (AOF) Festival, which is going on until Sunday, September 27th in scenic Monrovia at the Krikorian Theatres. These films are Strangers In A Book, Seeking Valentina, and Natural Born Filmmakers. This festival was created by Del Weston, who is also a filmmaker, so he really supports indie filmmakers in our community. And I really feel the sense of community at this festival. I ran into supportive friends from the film festival world and the media like King Bassey, Founder of the Los Angeles Nollywood Film Awards, LA Talk Radio Host Cameron Datzker and journalist and actor Harrison Held. Working on Strangers In a Book was an interesting experience and I learned so much as I also wore a producer hat on this one in addition to playing the lead role. This film is nominated for Best Guerilla short film at AOF. It was shot entirely in black and white. And has a great soundtrack which enlisted bands from the hip and progressive Italians Do it Better label, such as Chromatics, Desire, and Johnny Jewel which really add to the style of this bold, psychological thriller. Keeping fingers and toes crossed! 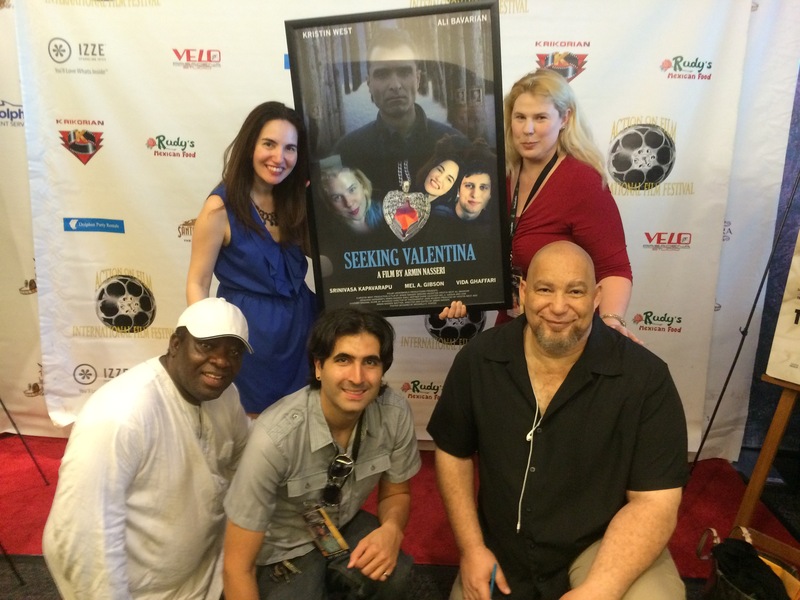 I had a great time working on Seeking Valentina. Kristin and Armin had a crazy shooting schedule, but thankfully for me, my scene was shot in North Hollywood. This film is about an Iranian-American writer (Ali Bavarian), in the pangs of grief, who takes in a mysterious tenant (Kristin West). When she mysteriously disappears, is she a ghost, a hallucination, a dream or a runaway? The subject matter and open-ended ending left a lot of audience members in suspense about who Valentina really was and that was what Nasseri was trying to convey with the film. The film also stars Srinivasa Kapavarapu of Outsourced, Mehlad Gibson, and yours truly of course. 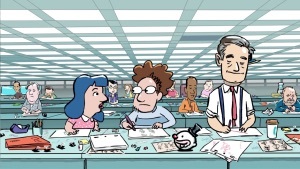 I’m really excited that Natural Born Filmmakers is nominated for a Best Comedy Feature award at AOF. I had a blast working on Natural Born Filmmakers with an ensemble cast of fine folks like my dear friends Gregory Blair and Dawna Lee Heising, which are very talented. I can’t wait to work with them on Garden Party Massacre!